Rye Liquor Label. 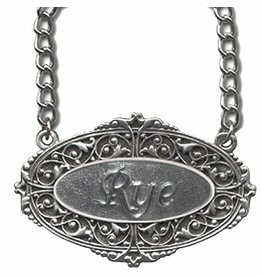 Chain included for hanging around your decanter. By Heritage Metalworks. Size: 9.45 inches. Lead Free Crystal. Glass relief in the bottom center of the decanter resembling berries. 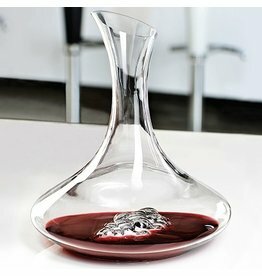 This decanter is 11 3/5 inch tall and has a 35 2/7 ounce capacity. Spiegelau - The Class of Glass - The life style division of Riedel Glassworks.